To borrow the ad tag line of American Express, “Membership has its privileges!” What does that mean? It is time for our member only social event that our chapter has each year! 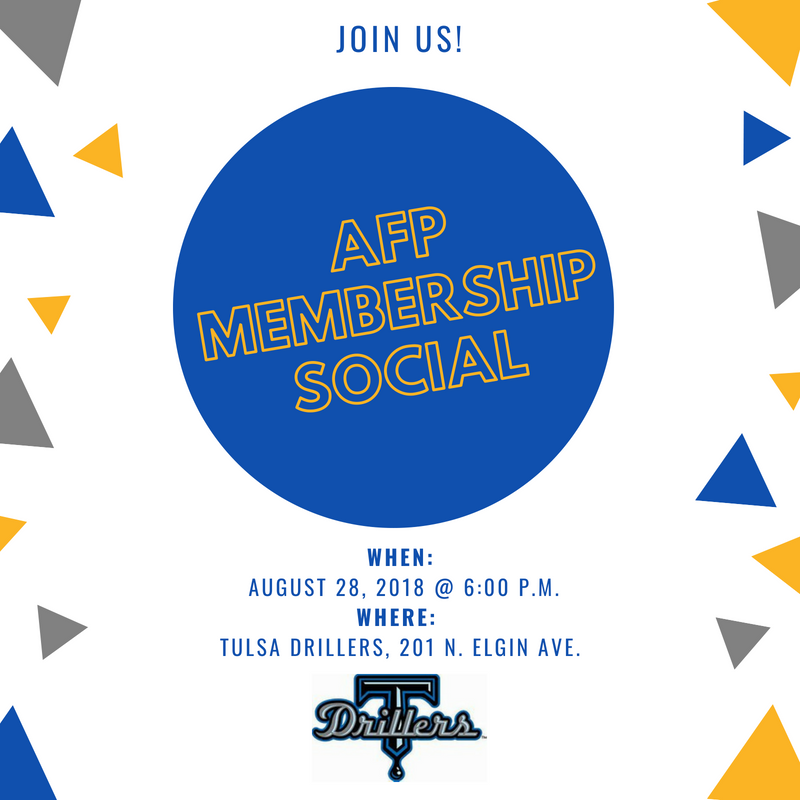 Please reserve your space now to join the AFP of Eastern Oklahoma Chapter members, on Tuesday, Aug. 28th, 2018 starting at 6 p.m. in a private, air-conditioned Drillers Suite that includes your game tickets, your dinner, AND your adult beverages, at NO COST TO YOU AS A MEMBER! It is just one of the benefits of being a member in our local chapter as well as to network amongst your fundraising peers. Please join the AFP Board, Mentors and Mentees for this fun evening. What’s the catch? (pun intended with baseball) We only have 24 spots available for this amazing opportunity, so it is a first come - first served reservation for members only, no guests. Sign up early, as these “suite” tickets will go fast! !